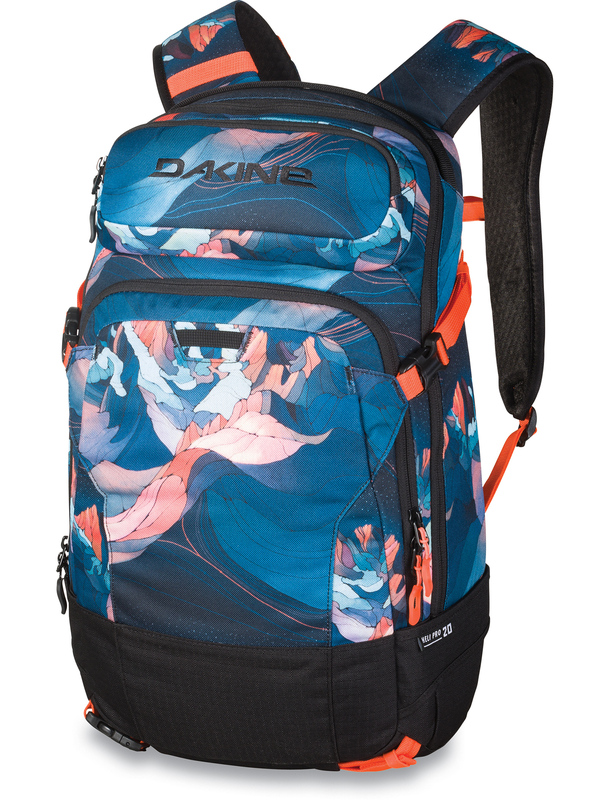 This season there are further design tweaks to the Womens Dakine Heli Pro 20L with a sleeker design. It comes with a women's specific design and is suitable for a smaller female body shape. This snowboard / Ski backpack with 20L room and loads of features, is now even more lighter. You can carry your skis or snowboard with ease, using the carry straps or ski carry system. The new design allows you to carry your ski's like an A -Frame. Store your goggles inside the goggle pocket to avoid scratches and your laptop inside the laptop sleeve, that fits most 15" laptops. Keep your stuff in order inside the organizer front pocket. If you get into trouble you can use the rescue whistle that is integrated in the chest trap clip. Check out the key features and alternative Dakine products below.